In early December, I looked at my calendar and I realized that EVERYTHING happens in December. Kindergarten class performances, church breakfasts, family parties, gingerbread house parties, and on and on. All of which is happening on top of sending out Christmas cards, shopping for gifts, decorating the entire house inside and out, and neighbor gifts. No wonder everyone is feeling overwhelmed in December. I’d been contemplating hosting a favorite thing party for several months, and as I looked at the calendar it was VERY obvious to me that December was the absolute worst time to host it. Finding an open evening on everyone’s schedule is basically impossible and going to a party in December often feels less delightful and more like one more thing to check off an already long to-do list. January or February, on the other hand, is a perfect time for a favorite thing party. Most people don’t have nearly as much going on in January or February and a party invite feels special and exciting instead of stressful. All of this was on my mind as I was working on my goals for 2019. I think it’s super easy to want to change everything on January 1st. I’m going to wake up early every morning for the rest of my life, I’m going to read for 30 minutes before bed, I’m not going to eat any sugar on week days, I’m going to exercise 6 days a week, and so forth. Keeping track of all those changes is overwhelming and probably not very sustainable (ask me how I know. . . ). One of my goals this year is to run a 5K on the Fourth of July. But right now, it’s cold outside and dark in the mornings, and I’m already working on other new habits and projects. I realized that I have a good exercise thing going on right now with the circuit-training class I go to several mornings a week, and that I didn’t need 6 months to train for a 5K (probably most of you wouldn’t need ANY time to train for a 5K, but I’m the world’s wimpiest runner). So instead, I decided I wasn’t even going to worry about running until April when the weather starts to get a little nicer, the mornings aren’t so pitch-black, and I’ve got some of my other habits more on auto-pilot. It felt so freeing to choose a time to work on that habit or plan that party that actually makes sense instead of shoe-horning it all into a tiny period of time and subsequently feeling overwhelmed right out of the gate. I kept thinking about this last week when I was making my 2018 photo book with Mixbook. I loved looking through my photos from the previous year, writing up the details of our trips and other major events during the year, and arranging them in one of Mixbook’s pre-designed photo books (I chose the Watercolor one and I LOVE it). If I’d been doing this in December, it would have felt so stressful – one more thing to crank out during a busy season. In the middle of January when there was practically nothing on the calendar and I had all the time I wanted to work on it? It became such a fun project. It was definitely the right time of year for me to make a photo book. Instead of feeling overwhelmed, it was a delightful fun project that helped me get excited about the year ahead and think about how I want to document this coming year as I look back on what we did in 2018 and how I recorded it. After all of this, far be it from me to tell you when the right time for you to make a photo book is, but if January or February seems like the right time for you, I always recommend Mixbook. 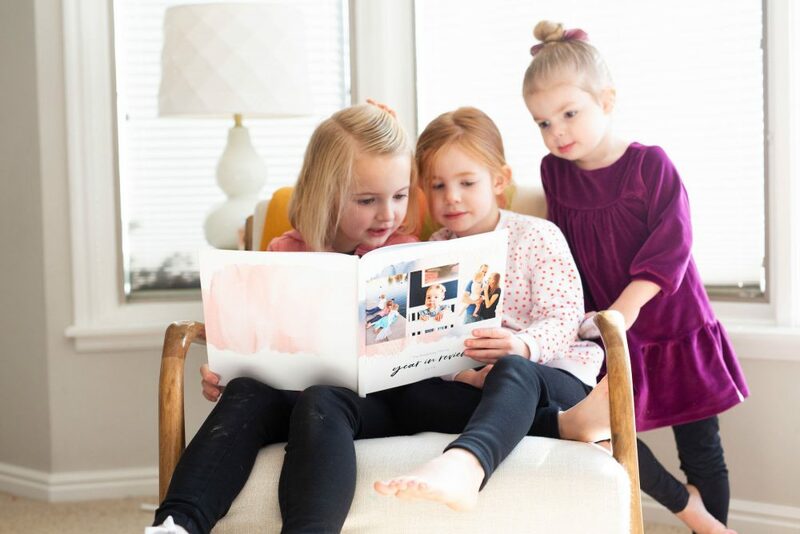 Their prices are totally reasonable (and you can use the code READING5019 for 50% off), the color and clarity on the printing is fantastic, and their software for making your book is exceptional. 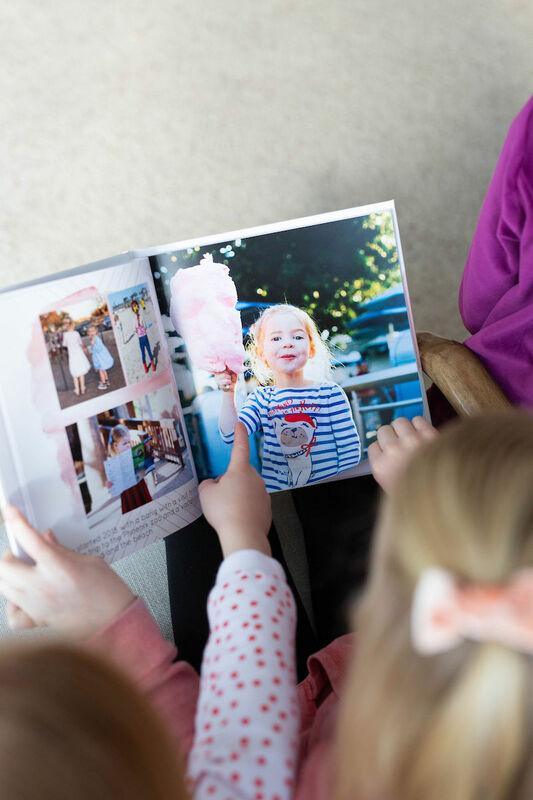 I’ve used so many other photo book companies where the formatting was the BIGGEST pain and made me just want to bag the whole project, but Mixbook’s is so simple I never thought about it all – it’s completely intuitive and easy to use. 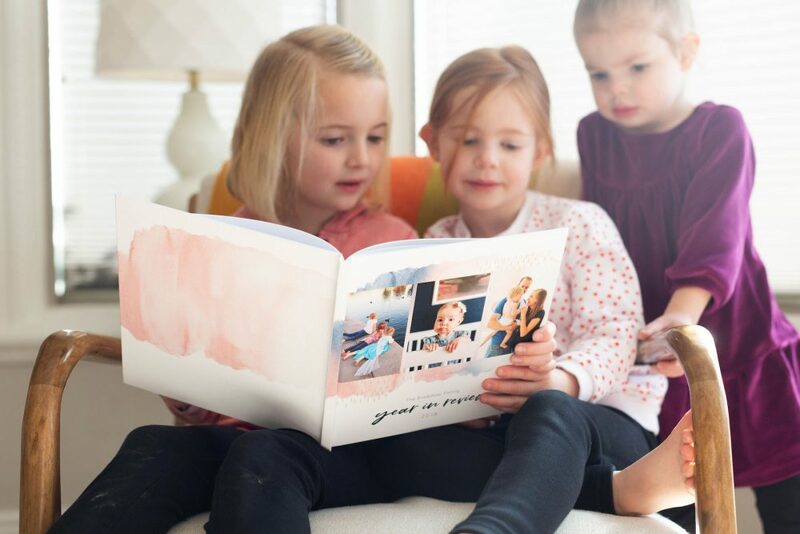 And, bonus – a photo book from 2018 makes a perfect Valentine’s gift. Just add some chocolate and you’re set for the trickiest holiday of the year. P.S. 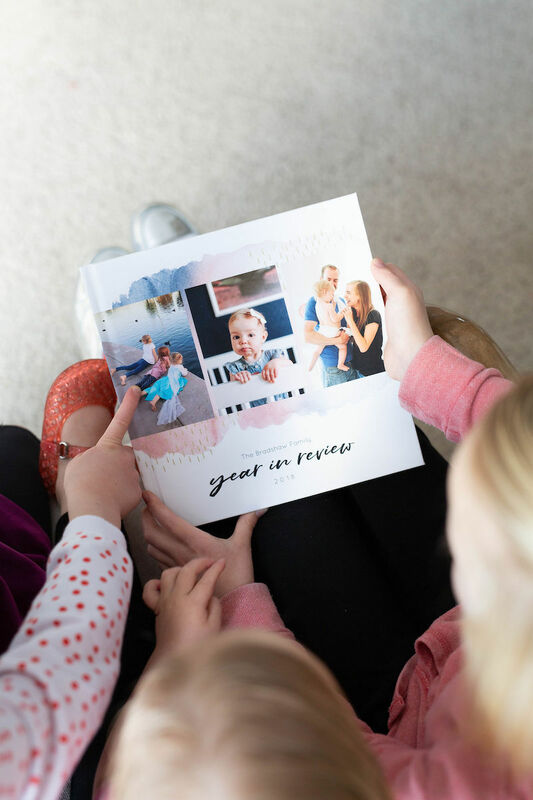 Some tips for making a year in review book here! I just made a 2018 photo book (it arrived yesterday!). It was so fun to reminisce about all the things we did last year, and it is definite inspiration for what we want to do this year. P.S. 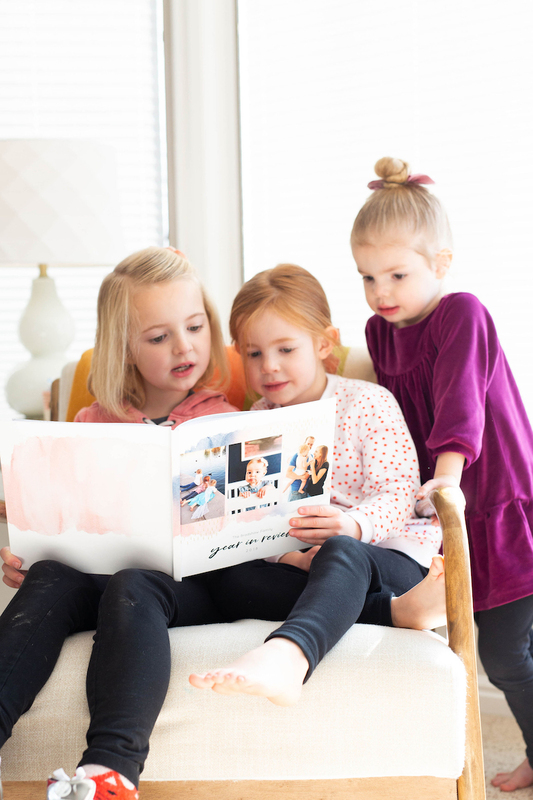 I love the idea of a favorite things party! I LOVE this idea–how long is the discount code good for? 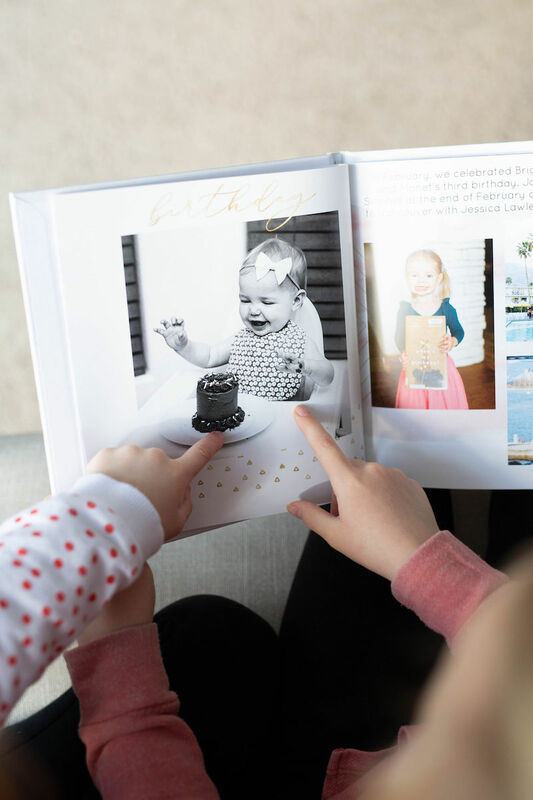 Making photo books is on my 19 for 2019 list so I couldn’t be happier about this discount! Thank you! Can you give me a rough idea of how long it took you and the approx number of pages yours book had (I’m assuming your year of review book would be a great comparison). I’d love to do this and just want to get an idea of the time commitment. I did use Mixbook for my holiday cards based on your recommendation and was very happy with the ease of the website! Thanks for all of your great content! Oh, I’m so glad to hear you loved it! Mine has 39 pages and it probably took me about 5-8 hours (which was more than double what it normally takes me because I had to track down so many photos from other sources since I’d lost mine. Usually, I can crank it out in about 2-3 hours). I’ve been trying to remember this in a slightly different way. I made a ton of new years resolutions. I have to keep reminding myself that I don’t have to be perfect about it RIGHT now. It takes time to shift habits and figure out how to make it work. Also, I’m impressed you can listen to an audiobook while working on that. I find it too distracting to listen to an audiobook while doing something like that. I wish though! 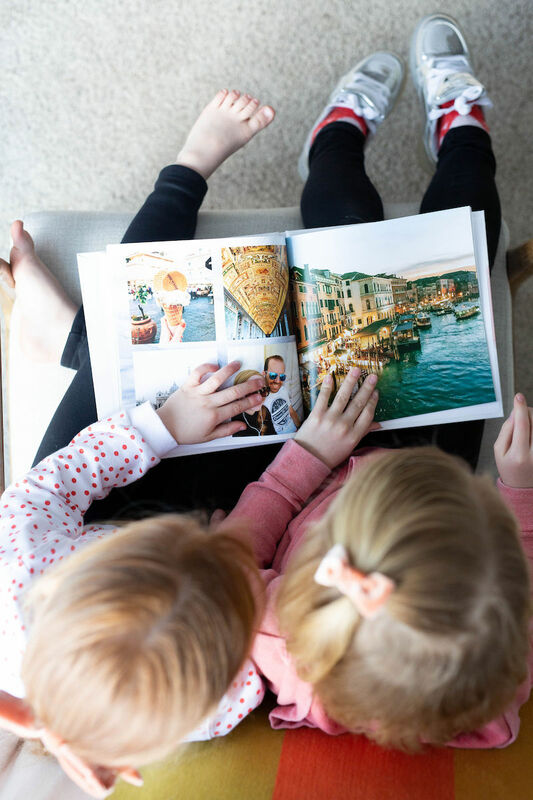 Have you ever used Shutterfly? If so, how would you compare the quality between the two? I’ve always used Shutterfly in the past, but their prints lately have not been the greatest quality. I have to admit that I have not been that impressed with their quality in the past, although it’s been several years since I last used it. I always felt like the printing was super grainy and the color was muted. Mixbook is so bright and sharp! I ordered one of the “You are Every Nice Thing” kid’s photo books that you recommended for my little guy’s first birthday, and I LOVE it!! Oh hooray! Isn’t it so cute?? This coupon code is amazing (50% off say whaaaat!?!) I hope you can get a similar one for next year!